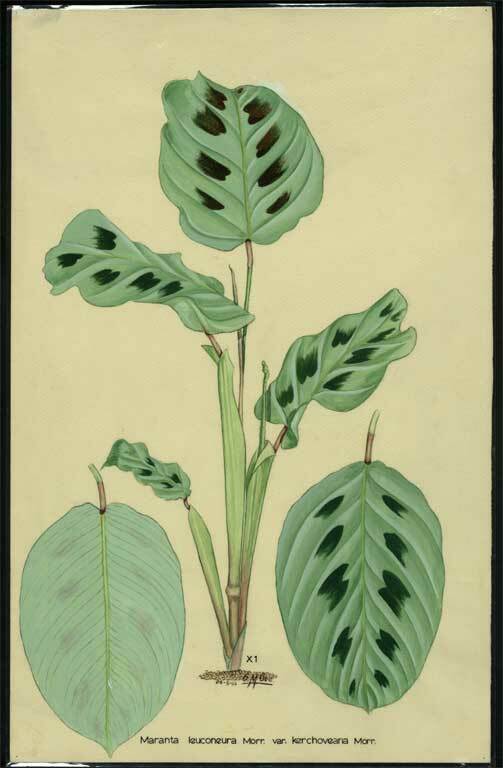 Title Maranta leuconeura Morr. var kerchoveana Morr. Acknowledgements Christchurch City Council Archives, Christchurch Botanic Gardens. With assistance from Christchurch City Libraries. This image is in copyright, and is provided for research purposes only and must not be reproduced without permission.